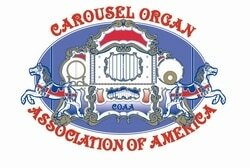 A mid-winter organ rally is being held for the first time in the picturesque 19th century town square of Dahlonega, GA. There are plenty of covered places to crank organs around the town square in this popular community. A block from the square is Hancock Park with a band shell and is available for large organs. Dahlonega was the site of the first major gold rush in the United States in 1828. In the old 1838 courthouse in the square's center is a Gold Rush Museum, see actual gold nuggets found here and see gold coins minted here. There a numerous boutiques, restaurants, galleries, antique malls, and an old-fashioned general store with mechanical music and other unexpected treats framing the square. Not far from downtown you can tour an actual gold mine from the period and pan for your own gold!